"I just wanted to look healthy and well rested!" Whatever your questions or concerns about your appearance may be - one thing is for sure - you will never get a complete answer until you seek the advice of a professional. Our approach to consultation has always been two fold. We offer our clients not only the solutions - but personalized treatments that address their very specific needs. Dr. Rahimi and the entire staff have built a reputation for their caring and congenial approach to the entire process of a treatment. One complimentary consultation will not only give you answers, it will put to rest fears - which may be unnecessarily keeping you from having the appearance you always wanted. Please allow 30 to 45 minutes for your consultation. You will need to provide a health history and pertinent current medical information when you arrive. After check-in is complete, Zonia Villatoro, our Patient Care specialist will take you through the preliminary consultation process. Tracy is an experienced beauty and cosmetic surgery consultant and will not only discuss your goals but give you a candid assessment of your expectations. 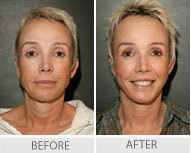 She will answer questions and show you before and after photos of similar procedures and introduce you to Dr. Rahimi.